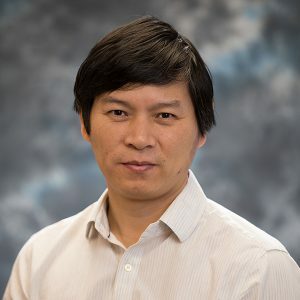 Yongpei Guan serves as Professor of Industrial and Systems Engineering and Director of the Computational and Stochastic Optimization Lab at the University of Florida. He served as the Interim Chair of the Department from May 2015 to August 2016. His research interests include stochastic and discrete optimization, supply chain management, and renewable energy integration and power system operations. His works in these areas have led to NSF Career Award 2008 and Office of Naval Research Young Investigator Award 2010. These works have been published in IEEE Transactions on Power Systems, IIE Transactions, Mathematical Programming, Operations Research, and Transportation Science. His awards also include as a faculty adviser for the Nicholson Best Student Paper Award (first place) from INFORMS and Pritsker Doctoral Dissertation Awards (first, second and third places) from IIE. He is currently the Department Editor (Energy Systems) for IISE Transactions and the Associate Editor for Journal of Global Optimization and Computational Optimization and Applications, as well as the Newsletter Editor for the INFORMS Computing Society (2011-present). He has also served as the Chair for the 2014 IIE Annual Research Conference.